I was privileged to meet Pastor Brain Ringnyu, the new National Coordinator of BB Cameroon, at the West Africa Conference held in Ghana last October. A very impressive young man with a real passion for The Boys’ Brigade and the extension of the Kingdom amongst the youth of his country, Brain was keen to update me on the work of BB Cameroon. I was particularly interested because of the investment made by members of BB UK & RoI in the Palm in Palm Project which supported BB Cameroon’s aim of becoming self-sufficient by 2016. 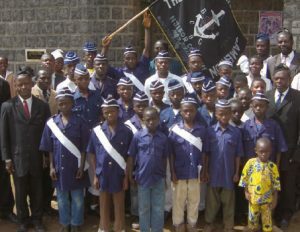 Many readers will remember the project organised by the International Team, a group of young leaders from across the Brigade, which ran from 2006 – 2009 and developed the BB farm at Ndu in the north of the country. There were other micro-finance schemes introduced as part of the initiative such as a motorcycle taxi business and a photocopying office in Bamenda, but the project was named after the palm plantation and the image that BB UK & RoI was holding the hand of BB Cameroon in partnership – placing palm in palm. Many BB Companies supported the fundraising, buying farm implements, young plants or by contributing to the administrative costs of the organisation. When the project finished and a new international team changed the focus to look at the Caribbean with the ‘Behind Tourism’ initiative, I was aware that there was more to do in Cameroon and in a sense this was unfinished business. Palm oil is widely consumed in Cameroon and Africa at large. It uses ranges from daily dishes at table for breakfast, lunch break and supper, to industrial processing of soap for cleaning of dresses. Hence, palm oil is always in high demand through the year. An oil mill will help us process our own palm nuts and those of neighbouring farmers to generate income for BB activities in Cameroon. It is estimated that at the beginning it is likely to raise about 100 pounds monthly and more in the years ahead. This sum will factor in the day to day running of the National BB office in Cameroon which solely depends on funding from the Cameroon Baptist Convention Men's and Youth & Students Departments. The Oil Mill will also employ at least two or more BB members who will work on the mill. In the years ahead, we hope to purchase another machine which will grind the palm nuts to kernel cake for animal feed to make maximum use of the farm produce. Above all it will set an example for member companies to follow in generating income and alleviate poverty. The cost of the project is around £3,400. 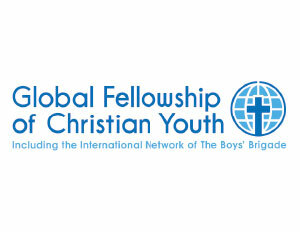 Global Fellowship has committed £2,000 and is seeking to raise the remainder from an appeal amongst supporters. 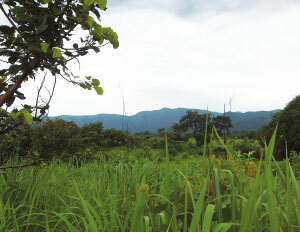 The farm was set up originally by the generosity of BB Companies in the UK and Republic of Ireland and there is now the opportunity to bring the project to conclusion and set BB Cameroon on a sound financial footing going forward. If you are able to help, then cheques made out to ‘Global Fellowship’ should be sent to Global Fellowship, Felden Lodge, Hemel Hempstead, HP3 0BL. Should the appeal raise more than the outstanding £1,400 then this will be used to lower the grant element provided by GF. Should the appeal raise more than the total required, then any excess will be diverted to other areas of need. Thank you for your interest and if you need any further information, don’t hesitate to contact me.